For those of you who have Windows installed on your system, each motherboard manufacturer has a website page on how to update the BIOS (see Option 2). However, the following methods are alternatives to updating the BIOS in Windows with a motherboard manufacturer's own utilities. The following guides are for updating Gigabyte motherboard BIOS. Motherboard BIOS utiity. Prepare from OS X. Easy Method for GUI oriented souls. Boot into the BIOS and note the settings that you changed as part of your initial installation. Today, most new USB thumb drives come pre-formatted in FAT32, so you can change the name in the Finder by single clicking the USB drive "NO NAME" and pressing the Return key which will highlight the "NO NAME", and you can rename it. 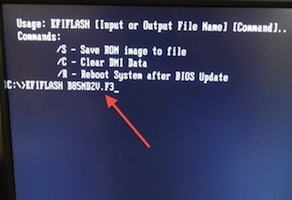 Use the BIOS's update function (Q-Flash for Gigabyte motherboards) to update the BIOS. Reboot back into the BIOS, Load the Optimal Defaults and reset any BIOS parameters. Congratulations! You've now updated your BIOS. Gigabyte supplies a Windows app to update your BIOS. If you have a windows installation, this could be a good option, as it's supplied on the motherboard DVD and Support downloads. See the official document here. 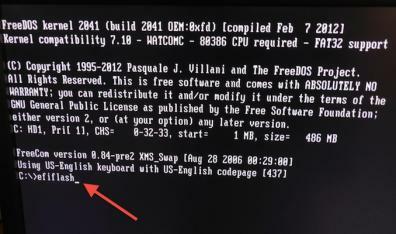 Method 1: (Create a USB Flash drive on OS X) MacMan's Guide for using FreeDOS on a USB Thumb Drive. But, first, boot into the BIOS and note the settings that you changed as part of your initial installation. Method 2. (Create a USB Flash drive on Windows) Recommended by wildwillow. This method has an excellent guide here. But, first, boot into the BIOS and note the settings that you changed as part of your initial installation. Method 3. (Create a USB Flash drive on Windows) trs96 found this (XP through 8.1) Method using Efiflash* (included in UEFI BIOS downloads) and Rufus on a 8GB USB thumb drive. C:/>Efiflash[COLOR=#FFFFFF]_______________[/COLOR]<--- This will start the Efiflash tool. * FLASHSPI.EXE was used in earlier Gigabyte BIOS releases instead of Efiflash.exe. Same use. I would have thought if the BIOS is rendered unusable by a mistake in updating the backup bios would come into play. I had an occasion for this, when for some reason or other the BIOS became faulty. After several attempts at re-booting the message said that the BIOS is being copied from the second, backup BIOS. After that all was well. After several attempts at re-booting the message said that the BIOS is being copied from the second, backup BIOS. After that all was well. to setup for an OS X install. You can also use the gigabyte software if you have a dual boot win/OSX machine. Once you booted in Windows, install the gigabyte software and you'll be able to update bios, drivers and edit your Boot logo easily. Use Option 3 Method 2. 4- Restart machine press F12 choose your USB Disk. Thats it you dont need to write anything. BIOS update start automatically. Hi, thanks for the guide, really good to see so much information out here! Also how will the BIOS flash affect the ability to run OSX? If you are running OS X now using the 4790K, then, yes, you can flash the BIOS to the latest version, and it won't affect your OS X installation. That's good news, thanks unfortunately, I'm still in the building progress, my CPU will ship next week, the GPU a little later, so I wasn't sure, if it's possible to even get into the BIOS with said CPU, or if it refuses to work at all w/o the update. Just FYI, the 4790k works without any issues. Even with the F6 BIOS, I had no problem updating the BIOS (via q-flash), although I noticed that the temperature was about 15°C higher with the F6 BIOS in comparison to the F9 BIOS. if it's not formated you can do it using disk utility from osx. then you reboot, get in the bios with the DEL key, go to the Save& Exit pane, hit Q-Flash*, launch it, select update bios from drive, select your usb key, select the file you copied before, and voilà !! 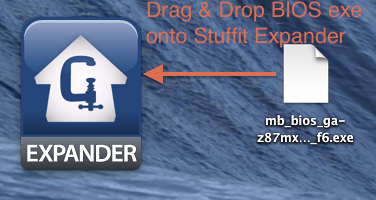 that's it, no need to copy any other file, to use some wtf software or whatnot... much more easy ! *you can also directly launch Q-Flash by hitting the corresponding key shown on the M/B splashscreen near the DEL to enter bios indication.